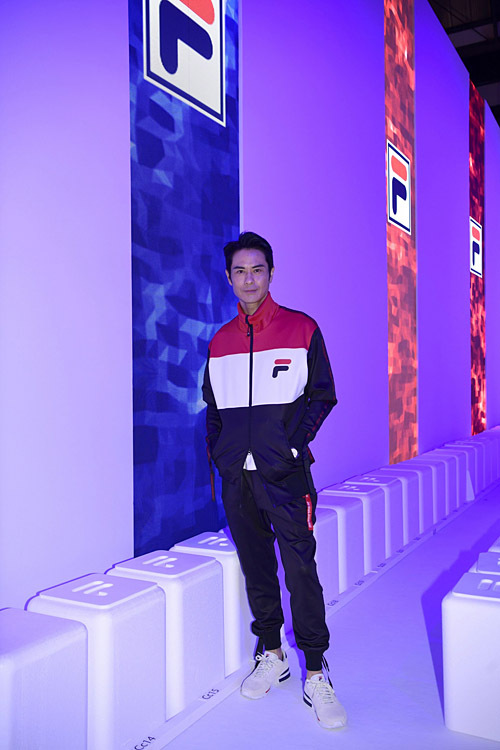 Recently married couple, Kevin Cheng (鄭嘉穎) and Grace Chan (陳凱琳), attended Fila’s runway show together at Milan Fashion Week in Italy. Still appearing sweet after marriage, Kevin expressed he is already in vacation mode as he has never been to Milan before, and this is the couple’s first trip together since the wedding. “I’m very grateful the brand invited my wife and I to watch the show,” Kevin said. He even displayed his affection for her publicly during an interview with Big Big Channel. “No matter where I go, romance is present if [Grace] is there,” Kevin bluntly said. Eager to talk about their life after marriage, Grace also revealed they plan to celebrate the Mid-Autumn Festival abroad with a homemade moon cake she brought along. Also present with them at the show was Michelle Wai (衛詩雅) who appeared to be in high spirits. She expressed her excitement when talking about her first fashion show at Milan Fashion Week. Michelle revealed she put a lot of thought into what she would wear to the event ahead of time. “This time, it was a really eye-opening experience for me, so I’m really excited. I told my manager that I’m going to need time to visit the landmarks and go shopping after the show ends. I already planned on spending a lot of money here,” Michelle said. So many people think Grace is expecting because of marriage? It turn out to be Anjaylia who is expecting and I never knew she’s expecting either until now. Congratulations to Anjaylia. Looks like Kevin is taking over from his wife in the motor mouth department. Thee way he randomly blurted out the gender of Anjaylia’s baby when the parents did not publicize it, lol.